Lirik Bio, Net Worth, Why Was He Banned From Twitch, How Much Does He Make? In the modern age, white collar jobs are the less glamorous type of jobs. The internet combined with the advent of social media has created a new line of zero collar jobs that require only your talent and dedication. No degree, no formal education of any sort is required. Outside of e-sports competitions which have its own gigantic financial rewards, video game streaming popularized by Twitch has created a new line of rich young people. One of those people is Saqib Zahid, more popularly known as Lirik. The new types of work created by modern inventions have helped a number of economically disadvantaged people get out of poverty. The low point of entry into the world of streaming or making online videos has allowed those with the creative mind but little to zero financial backing to grow their own audience and make money. Such is the story of Saqib Zahid, who was born in Germany after his parents emigrated from the Middle East. Although he was born in Germany, his parents relocated to Boston, Massachusetts in further search of a greener pasture. His profile suggests a difficult childhood and there are currently no specifics on the level of education he completed before he became a full-time streamer. Lirik was born on October 29, 1990. In Boston, Lirik got into the world of game streaming after getting associated with Towelliee, another prominent streamer. He took some lessons from Towelliee and in a short period, he created his own channel. In 2011, Lirik started streaming professionally. He started with the game, World of Warcraft. As is the case when one starts a new venture, it took some time for Lirik’s streaming channel to gather pace but that changed after the release of DayZ in 2012. Lirik became the go-to gamer for enthusiasts to learn and watch the game and his channel pretty much exploded. Combined with his proficiency in the game and the YouTube comedic shorts he started posting on his YouTube channel, Lirik’s subscriber base grew into a Twitch behemoth. He now averages between 20,000 to 40,000 viewers per stream and has a Twitch follower count of over 2 million. This popularity has earned him sponsorship from video game affiliates like Discord and became a part of the exclusive group of streamers on the Twitch platform paid by the company for promotions. Highlights of his streaming career include an interview by popular Video Game magazine, PCGamesN in 2016. He earned over $200,000 in 2017 and was rated as the number 5 streamer on the platform’s Top 10. Other than DayZ, he streams other games such as Fortnite, Arma 3, H1Z1 and PlayerUnknown’s Battleground. His technical setup includes a GPU of 2-SLI Nvidia GeForce 12GB Titan X Pascal and RTX 2080t, a CPU of Intel Core i7 6700k and a RAM of 32GB HyperX Savage DDR4. Lirik has an Asus ROG Swift monitor with a HyperX Alloy FPS Mechanical Gaming Keyboard. Lirik is known as the only top streamer whose streaming episodes do not feature a webcam for his appearance. Outside of gaming, very little is known about Lirik’s private life other than the fact he’s a cat lover and he has a brother who is also a Twitch streamer. Net Worth: How Much Does He Make? Lirik is believed to be worth around $1.5 million. This growing wealth has come from being a partnered Twitch streamer. He streams for 6 hours a day for 6 days, with an average viewership of 20-40 thousand. Numbers like that make him an attractive point for big brands to partner with to push their products and services and Lirik has been tapping into that level of influence, especially on his YouTube page. See Also: Who Is Marina Joyce (YouTuber), Is She Dead, Was She Really Kidnapped? 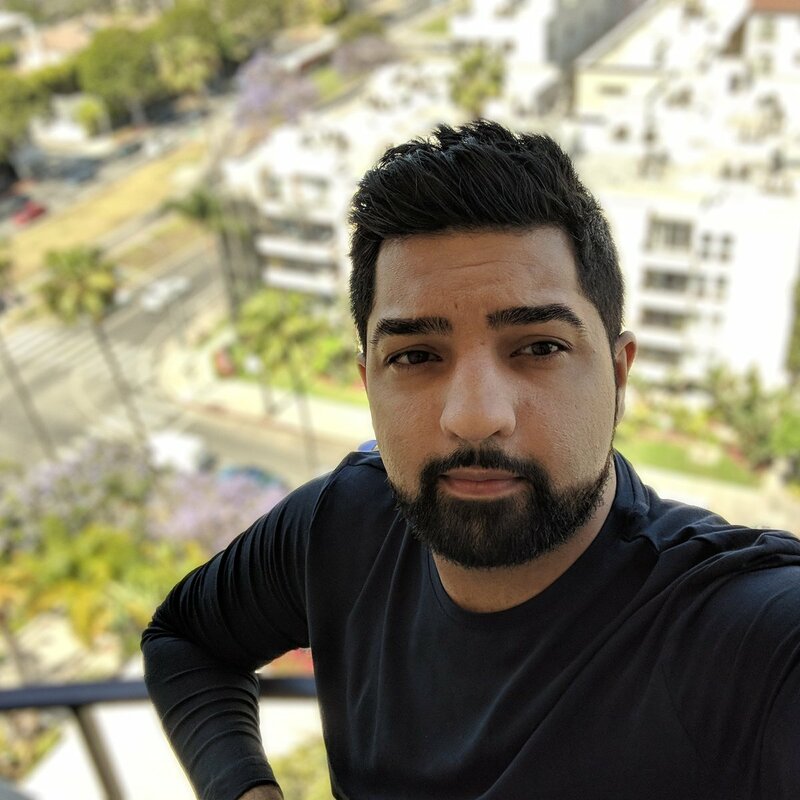 While there are currently no official figures on his monthly or annual income, Lirik currently has 16 thousand active subscribers and at $2.50 per subscriber, that’s a $40,000 monthly revenue to Twitch and the estimated percentage that goes to the streamer would have Lirik earning between $3000 to $5000 per month. Why Was He Banned From Twitch? In September 2018, Lirik was banned from Twitch for an alleged copyright infringement. The claim seemed to have come from UEFA, the European football governing body. After further investigation, however, it was considered a false claims and Lirik’s channel was returned to the platform. Lirik expressed pursuing legal action for the suspension but no development has been recorded in that regard.